San Diego California Home Inspector - Mold Inspection - Air Quality Testing - ERMI San Diego Home Inspector (619) 253-4149 , San Diego Home & Mold Inspection Service	| Mold Testing Services | proudly inspecting Chula Vista, National City, Point Loma, La Jolla, La Mesa, Encinitas, El Cajon. Certified Thermal Imaging (FLIR): thermal imaging, also known as Infrared Thermography, is a technology that allows the inspector to show you things about your home that no one can show you using other inspection methods. It lets us identify any areas of the building material that may contain moisture that can't be seen with the naked eye, and in many cases can help identify the source of a water problem that is contributing to a Mold problem. A picture is worth a thousand words. We can also Locate radiant heat lines and detect broken lines with an IR camera. Mold Testing and Mold Sampling: (air sampling, direct sampling by swab or tape sample, carpet sampling, bulk sampling, and inner wall inspection with Extech Borescope and inner wall air sampling). Indoor Air Quality Testing: SDHMIS provides pre-remediation indoor air quality testing as well as post-remediation clearance air quality testing and verification to verify that remediation work is complete. We use only AIHA accredited labs and deliver timely results (standard results in 1 business day and same day results available at additional minimial lab fee per sample). Indoor air quality is generally compromised during time periods involving indoor construction projects and/or remodeling jobs. Usually the adhesives, glues, and treatment processes (painting, varnishing, etc.) used in these projects are the main culprits in adding to the VOC "load" in the area. Some materials of construction such as drywall, wood, tile, and stone, usually do not significantly off-gas, though unfinished wood naturally emits formaldehyde and terpenes. Other materials, such as laminates, veneers, carpeting and vinyl materials can off-gas significantly. Specific VOCs associated with materials of construction that may appear in an indoor air quality report include: toluene (adhesives, caulking, and spray paints); methylene chloride (paint and varnish removers); tetrahydrofuran (THF) (PVC pipe construction); benzene and xylenes (solvents, paints); chlorofluorocarbons, butane, isobutane, pentane, and 2-methylpentane (blowing agents in spray products); and glycols, glycol ethers, Texanol A and B (no VOC and low VOC paints). Broad ranges of VOCs can also be observed from the use of light solvents, paint thinners, oil-based paints, and floor finishes, as examples. The lingering impact of VOCs post-construction will depend in part on the amount of ventilation available and the ambient temperature (i.e., higher temperatures result in increased rates of off-gassing, meaning that higher concentrations of VOCs are present at higher temperatures). Regardless, VOC levels can remain elevated for months after completion of the project and will eventually dissipate over time. Care should be taken to understand the health effects of any product used indoors. IAQ Home Survey is a relatively low-cost test designed to measure the chemicals in the air and find hidden mold. IAQ Home Survey can be performed during the home inspection or as an IAQ test only. IAQ Home Survey reports the total amount of Volitile Organic Compounds (VOCs) found in the home and whether they are within a recommended safe range. IAQ Home Survey predicts the source of the VOCs and determines if the home is the source or if the VOCs are merely from the contents of the home. IAQ Home Survey is so sensitive it monitors for the chemicals released by actively growing mold, whether it is behind walls or underneath carpeting or flooring. 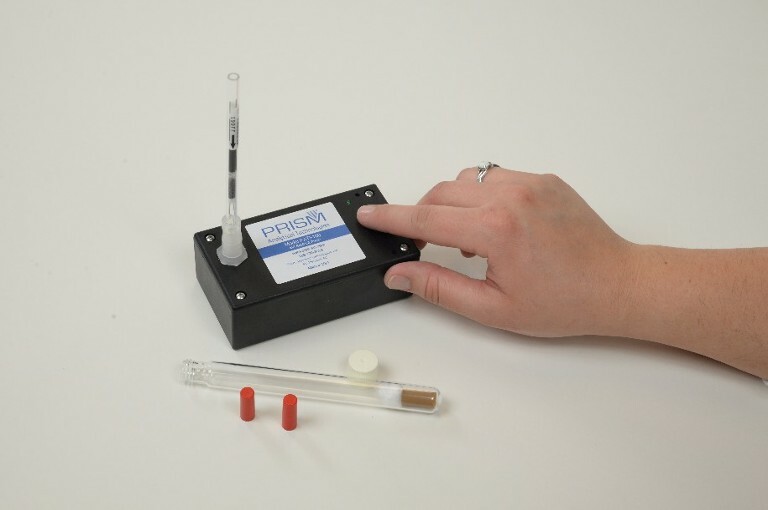 Formaldehyde can be measured and reported individually for an additional charge. This test is especially recommended for any home constructed within the past five years. IAQ Home Survey "Inspect" Report: Complete and comprehensive laboratory report and analysis from PRISM Aanalytical Technologies, an accredited AIHA lab. Under Sample Report at the right of the page, click on either "VOC sample report" or "Formaldehyde sample report" to see what your report looks like. Inner Wall Inspection: Using the Extech Borescope video camera we can drill a small hole in the wall material and insert the camera to document mold or water damage inside the walls. FOR COMPLETE "HOME PROPERTY INSPECTION" SERVICES FOR THE PURCHASE OR SALE OF A HOME, CONDOMINIUM, TOWNHOUSE, ETC., click on Home Inspections link at the top of this page, or call 619-253-4149 for a free estimate. Click here to review us on Yelp! Proudly Serving the Greater San Diego area. San Diego County, Coronado, Imperial Beach, Chula Vista, National City, El Cajon, Spring Valley, Encinitas, Vista, Oceanside, Escondido, La Mesa, Lemon Grove, Poway, Rancho Bernardo, Vista, Carlsbad, La Jolla, Point Loma, Mission Valley and everywhere in between - call to schedule your appointment today! Mention this coupon and save $25 off any inspection service!